Designed to meet a wide range of strengthening needs. 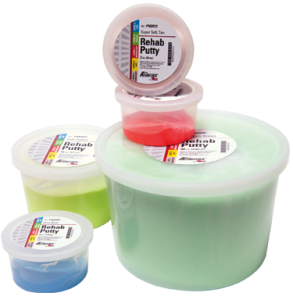 Putty can be squeezed, stretched, twisted or pinched. Color coded by resistance. 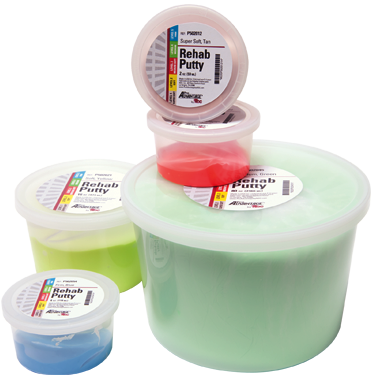 Combine any colors to create custom resistance for individual needs. Latex-Free. Made in the USA.